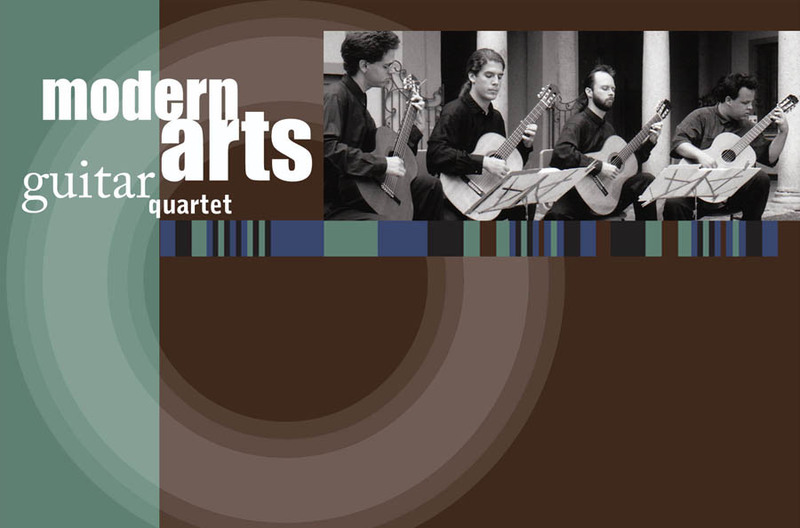 From 1991 to 1995 the Modern Arts Guitar Quartet broke new ground in contemporary music for the guitar, emerging as one of the most progressive guitar ensembles in their field. Their repertoire ranged from the gentle lyricism of Debussy to some of the most fearless experimental works written for the instrument. All four members were composers actively involved in expanding the guitar’s repertoire, with works including music for four prepared guitars and an interactive quintet for four guitars and computer. In addition to a regular concert schedule in southern California, the group toured Europe, Canada, and the Pacific Northwest. Their performance at the prestigious 16th Annual International Forum of New Music in Mexico City in 1994 was called by the Mexico City daily La Afición “one of the most interesting and enticing concerts of the festival.” The Quartet gave its final concert at UCLA on June 16, 1995. A deluxe two-disc set including their re-mastered 1994 studio recording and a DVD of their final concert is now available. Click here to buy online!